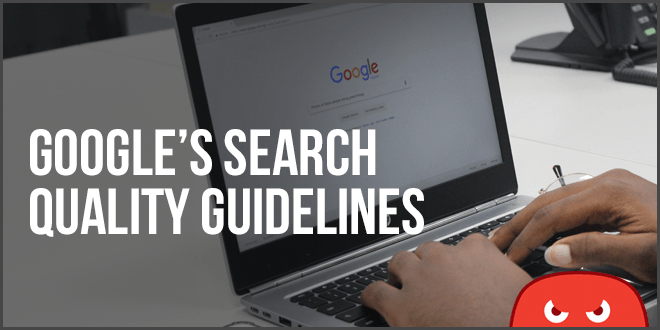 Just in: Google has recently updated their Google Search Quality Guidelines, and we’ve prepared a TLDR version of the most important things you need to know. 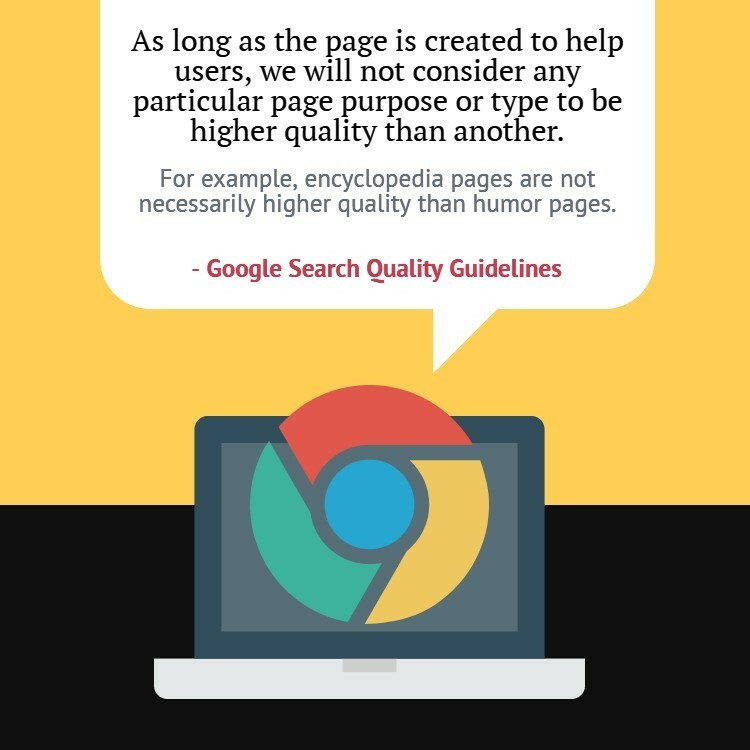 First, for the uninitiated, the Google Search Quality Guidelines is an over 150-page bible for Google’s search quality evaluators. 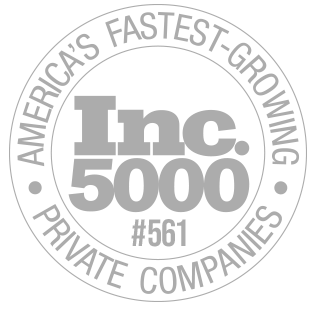 What are search quality evaluators, you say? These “raters” are the people contracted by Google globally who are tasked to evaluate the quality of Google’s search results. They replicate real Google queries and rate the quality of each page that appears in the top results for these queries. In case you’re wondering; No, raters can’t instantly cause negative SEO effects to any page they review, but the data mined from their work does influence Google’s algorithm updates. In this sense, the Google Search Quality Guidelines is the set of instructions that guide how these raters should make their assessments. Now with that aside, let’s head back to the meat of this article—the lowdown on the topmost takeaways from the Guidelines’ latest update. PQ is the standard that raters assign to pages that come up top in Google search queries. Raters will determine whether pages have low or high PQ based on the quality of the website, the purpose of the page, whether it fulfills that purpose, and whether that purpose correctly meets the needs of the search they performed. Google’s overall PQ rating scale is composed of five levels: Lowest, Low, Medium, High, and Highest. Raters assign their evaluations using this slider. 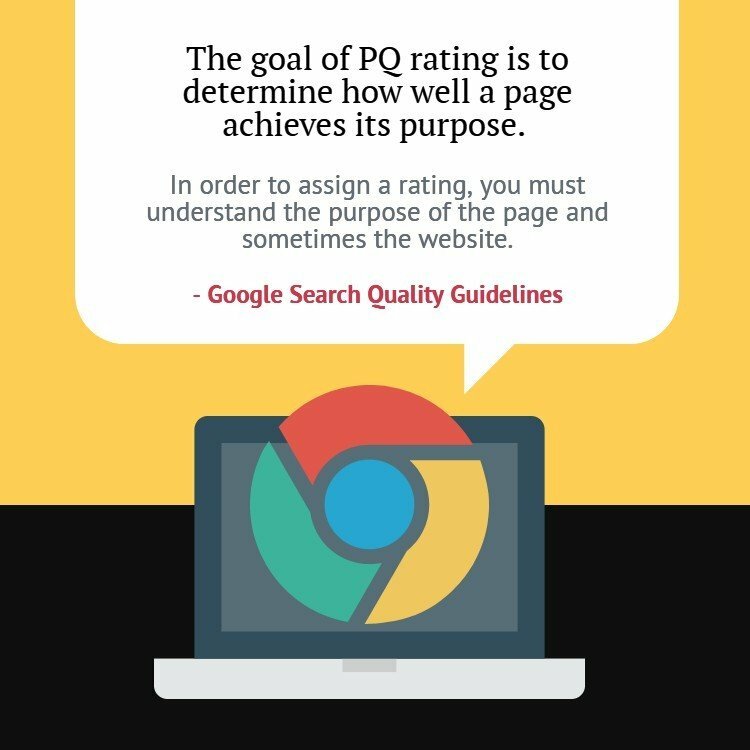 Before assigning a PQ rating, raters must first determine the purpose of the page they are evaluating. To sell products or services? Once they’ve determined what purpose the page is trying to serve, they should then be able to evaluate how well the page fulfills this purpose relative to the query that was made. Only then can raters assign a PQ rating. Note that Google’s PQ rating does not discriminate by type of page. The PQ is determined if the page aptly fulfills the purpose of the search query. For example, if a user made a query like “best Donald Trump memes,” a Buzzfeed listicle about top Donald Trump memes can theoretically be rated higher than a Wikipedia page about Donald Trump. There is one page type that receives the most scrutiny from Google. Google classifies any pages that “could potentially impact the future happiness, health, or financial stability of users” as “Your Money or Your Life” (YMYL) pages. Because of the nature of the impact that the content on these pages could have on users’ lives, these types of pages have the highest quality requirements. Financial transaction pages: pages for paying bills, shopping online, transferring money, etc. Financial information pages: pages that prescribe advice for investments, taxes, retirement, mortgages, buying insurance, etc. Legal information pages: pages that provide any legal advice on topics such as divorce, adoption, migration, etc. Public/official information pages: pages that provide any information about Government programs, laws, events, etc. Other pages that touch on important topics covered by YMYL. All aspects of a page are evaluated for Expertise, Authoritativeness, and Trustworthiness (EAT). The same standard goes for all other YMYL pages. Legal advice should come from legal professionals, and all other industry advice from corresponding industry experts and not generalists. Highly technical topics such as photography or learning musical instruments also require some evidence of formal expertise. There are, of course, some topics that don’t require formal expertise, and Google recognizes these as well. For example, restaurant reviews, home remodeling, parenting, and other personal life experiences can be attributed to anyone with practical experience, so long as their content is detailed, comprehensive, and actionable. 2. Supplementary Content – Some extra parts of the page that help it “better achieve its purpose,” such as text or media added to complement the Main Content or add supplementary information, but do not constitute the main purpose of the page. For raters, finding website information is, in a nutshell, finding out who is responsible for the website and who authored the content on the page they are evaluating. However, raters are not limited to official page labels. In such cases, the home page candidate that offers the most relevant information about the target URL takes precedence. 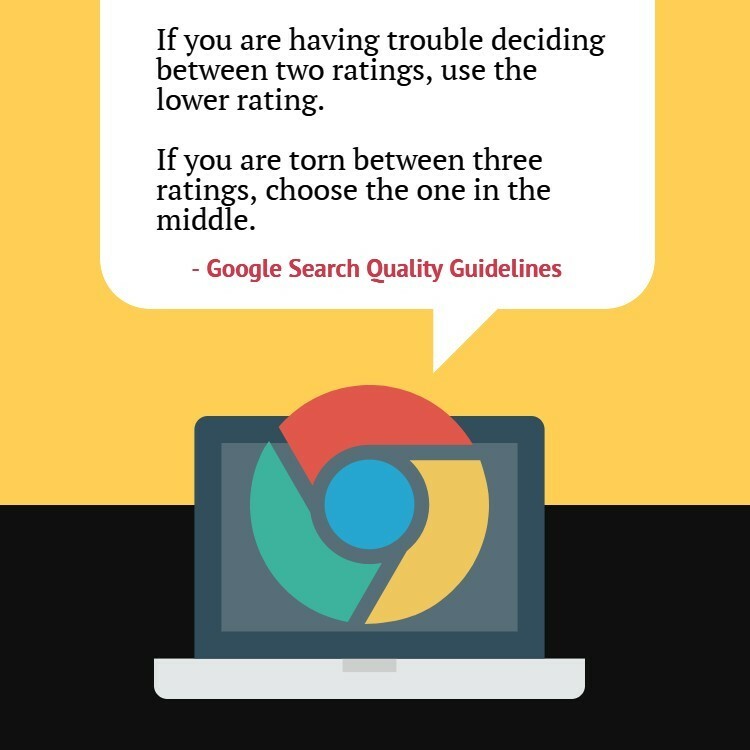 A website’s reputation is considered one of the top criterion for assigning a PQ rating. It’s one of the best demonstrations of a page’s effectivity. Google does not consider reviews or ratings written by the website or company being investigated. PQ rating guidelines for mobile is one of the newest additions to Google’s updated Search Quality Guidelines. The first step for rating PQ on mobile is to understand the needs of mobile users: which is to complete a task quickly and conveniently. In that sense, raters are instructed to rate PQ for mobile according to how well a query is answered given a mobile user’s limitations. When evaluating PQ rating for desktop, raters look at the most detailed and comprehensive results. But when evaluating a page for mobile, the rater must choose the page with content that Google can fit into what it calls a Results Block. 9. What is a Results Block? 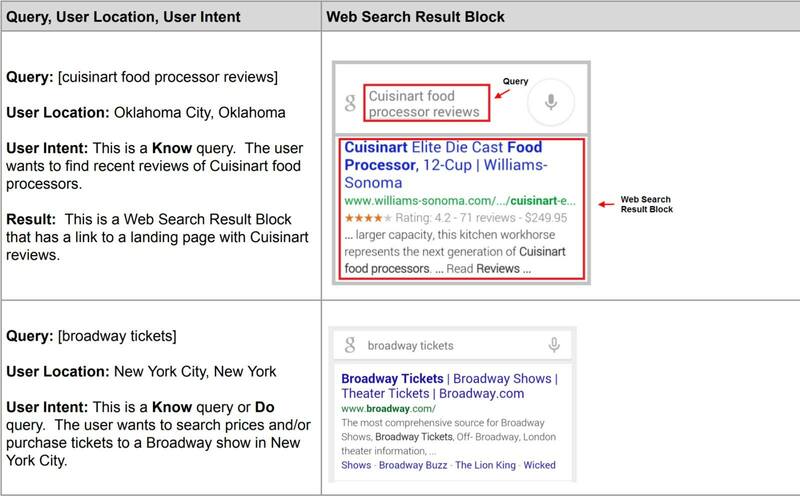 A Results Block is another version of a Google Snippet, so to speak. Web Search Results Blocks are the most common and contain the title of the page, the URL, and a relevant text “snippet” of information about the page. 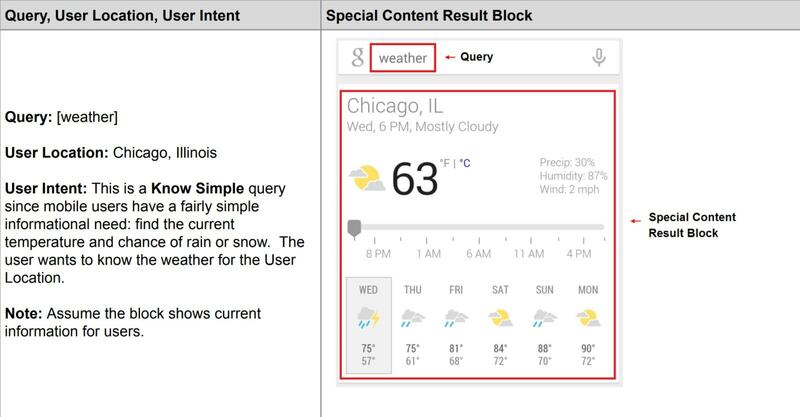 Special Content Result Blocks display relevant, non-textual content directly on the search results page for demonstration purposes, such as an online calculator or translator, for example. These Results Blocks are then evaluated for how well and how succinctly they can answer a user’s query. Google’s guidelines go at length about the multiple types of queries and the details and examples related to these queries. Google uses the term “Locale” to refer to the user’s language and location. Determining locale is crucial to making a more appropriate interpretation of a user’s query. For example, a user based in the UK may expect a different result for the term “football” than a user based in the US. Additionally, a user based in the Philippines may expect a different result for “peso to dollar” than a person based in Mexico. A broad search to find information on a topic where the answer is typically longer, controversial, or more complex. Example Know queries: [Serena Williams], [World Trade Center], [Kong Skull Island], etc. A search seeking a very specific answer where the answer is typically simpler or shorter. Example queries: [Serena Williams Age], [World Trade Center Height], [Kong Skull Island release date], etc. A query made to accomplish a goal or activity which may either be to buy, download, interact with an app, etc. Commands meant for the device, such as to call someone, locate a file, open a website, or listen to music on that device. Google assumes that Device Action queries are made by users in hands-free mode, so these sorts of queries also have a high standard. Queries made by a user looking to find a specific website or webpage. Queries made by a user looking for a specific business or organization. A query can have different interpretations, which Google categorizes as Dominant, Common, or Minor interpretations. Dominant interpretations are what most users would mean when typing a query. Common ones are what many users would expect to find from a query, while Minor ones are sought by a few users. For example, a Dominant interpretation of the query [apple] would be the company, Apple. A common interpretation would be the fruit, apple, and a minor interpretation could be the name of a place in the US: Apple, Oklahoma. There are also query interpretations that can change over time, such as a query for [iphone] which could have more than a few candidates, spanning the first model to the iPhone 4, 4s, up all the way to the most recent one. Raters assign a Needs Met rating depending on how well a page result has helped mobile users. The Needs Met rating is composed of five levels: Fully Meets, Highly Meets, Moderately Meets, Slightly Meets, and Fails to Meet. There is an important distinction between E-A-T and Needs Met ratings. First, a Needs Met rating is based on how well the resulting landing page meets the query. On the other hand, the E-A-T rating is based only on the content of the landing page, regardless of whether or not it matches the query. For example, the query [top Cancer cures] could lead to a high E-A-T page about Cancer from a reputable scientific journal, but the result that would get the highest Needs Met rating could be any article from a medical organization or professional that focuses on providing the answer to the user’s query: listing the top Cancer cures. The highest PQ rating will be given to pages that meet the top 4 criteria. On the other hand, the lowest PQ rating will be assigned to websites that don’t—such as those that harm, deceive, or make money with no attempt to provide any help to users. Now, all that background information and terminology should count for something. So below, we translated these into actionable tips you can add to your own content marketing and SEO strategy. 1. Make sure your overall website passes Google’s quality standards. 2. Optimize your metadata and user-facing navigation to clearly demonstrate which page is your About page, which is your Contact page, geolocation, and so on. That way, both crawlers and human raters understand how to navigate your page and website. 3. As with your website, make your page content easy to navigate. Clarify what each page’s purpose is supposed to be. Write a title and meta description that clearly presents the page’s purpose, and make sure your Main Content fulfills this purpose. Do not make Supplementary Content that could distract users from the main purpose. Optimize your content for Google snippets. Write at least a snippet of text that you can use for a Results Block. Your goal is to provide an adequate answer in the most concise manner possible—convenient enough for the mobile user to get the answer they need without having to scroll further or click more links. 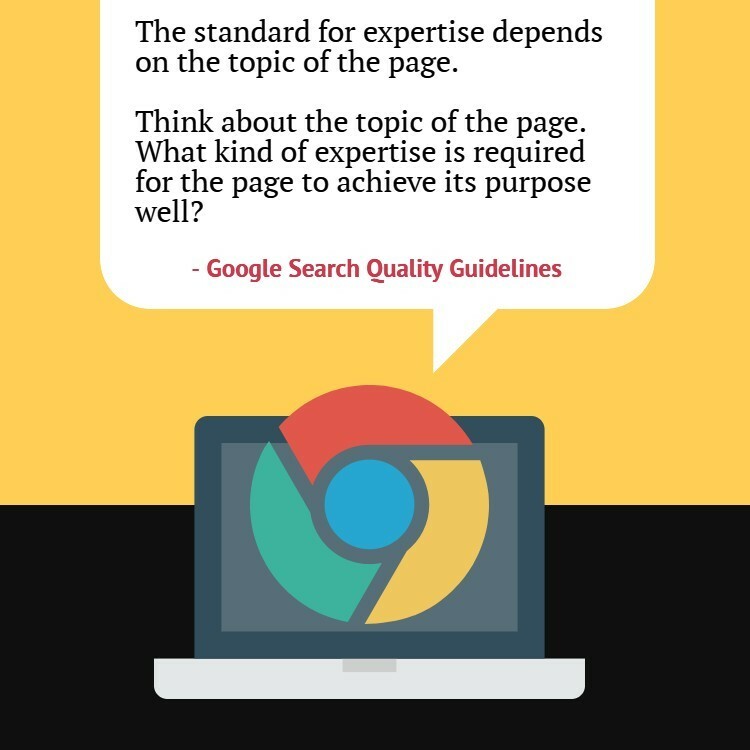 For example, you can display a short phrase like “Google Search Quality Guidelines is the set of instructions that guide how Google’s Search Quality Evaluators should rate the quality of page results,” and code it as a snippet for your comprehensive, 3k-word article about the topic. Code all these page data properly in your schema markup so both crawlers and humans can easily tell which is which. 4. When you think about content topics, think about queries first. Plan your content outline and words around these queries you want to rank for. 5. Make doubly sure all your YMYL pages are written by E-A-T authors. In the author byline, include relevant background information that will let users, crawlers, and raters know that the author of a YMYL content has the right expertise and experience to talk about their topic. 6. Optimize your pages and apps for voice commands. 7. Do not use any disruptive ads. Having ads on your site is not by itself a reason to get a low PQ rating. However, the content on your page should adequately provide the answers to the query you are aiming to solve. For example, in the query [how to delouse my dog], if all your page does is focus on promoting your canine delousing products without sharing any general steps to actually solve the user’s problem (delousing a dog), then you’ll get a low PQ. On the other hand, if you give a detailed and comprehensive walkthrough of the steps, complete with backup info such as pictures or video clips, then you’ll most probably get a higher PQ rating. You can still insert an ad or a plug for your product; but the solution, not the product, should be the focus of your content. And that’s it! Hope that’s not a lot to digest? Tell us in the comments if there’s anything we missed. Yes this is a complete comprehensive article of the entire book which is very informative. I liked the takeaway and have made a notes of it too. Although there are some things in here that I do not understand well, it still feels very helpful and an impressive thing to know about. I will keep learning. There is always more to learn, but some consistent reading will get you the knowledge you need! Hi All, You have done a very good job of summarizing this 150 page Bible that Google has come out with. I have been studying its content for the last two weeks in preparation for the raters exam. Nice job.